If you need immediate assistance with a water damage incident in your home or office, contact the water damage Beavercreek technicians with 911 Restoration of Portland. We offer our help 24/7/365, all year round. Once you contact our office, an IICRC certified water damage Beavercreek technician will arrive at the site of the disaster within 45 minutes of your call and offer a free home inspection. Once the source of the leak is determined and the main water valve has been turned off, your dedicated water damage Beavercreek technician will provide you with an honest estimate and a repair plan. This will give you a clear idea of how long the restoration process will take and the total cost of your repairs. 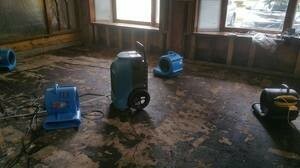 Prevent bigger water damage accidents and avoid mold growth. Stopping a leak when you first discover it is vital. 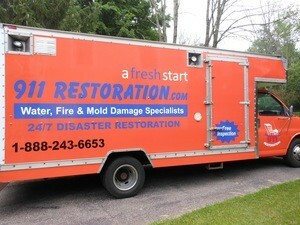 Call the water damage or mold removal Beavercreek specialists for help, today! 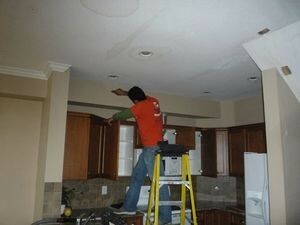 When it comes to water damage, every minute counts. It takes about 24 hours for water to become contaminated with bacteria, and about 48 hours for it to start growing mold. Our mold removal Beavercreek team arrive equipped with safety gear and state of the art machinery, so they can get to work right away. The mold removal Beavercreek techs have seen that the more time that is wasted in starting remediation, the more structural damage you can have. Mold thrives in dark and warm areas, but with the help of infrared cameras, all hidden mold will be detected. Some areas mold can hide are in: Bathrooms, basements, kitchens, A/C units, refrigerator drip pans, window seals and, inside chimneys. Our mold removal Beavercreek technicians also advise that mold causes a musty odor and does not always have to have visible signs. However, our mold removal Beavercreek team have the technology and experience to detect hidden mold and remove all hazardous and affected areas with minimal disruption. When you decide to work with the mold removal Beavercreek team, you work with a team of dedicated professionals who aim for safety and comfort. The mold removal Beavercreek teams provide all of our home and business owner customers with a comprehensive plan of the remediation process, so they can have peace of mind knowing they are in the hands of professionals. Our staff understands the stress you are feeling and we do all that we can to alleviate that stress and remediate your home or office with minimal disruptions. You don’t have to worry about chasing down your insurance agent, we offer to handle your insurance claim for you, and so your focus can be set on you and your family. Your assigned project manager will work to obtain the most coverage out of your homeowner’s policy and your water damage or mold removal Beavercreek technicians will meet with the adjusters, while we keep you apprised of each update. Allow our licensed, bonded and insured water damage Beavercreek technicians with 911 Restoration Portland to give you your Fresh Start!